The Swindon Limo Company caters for all Sporting events on the calendar. Our fleet can cater for groups of up to 16 passengers in a range of Limousines, Hummers, Party Limo Buses and Minibuses. Our biggest sporting event of the year is Royal Ascot in June which is a great day for all attending. 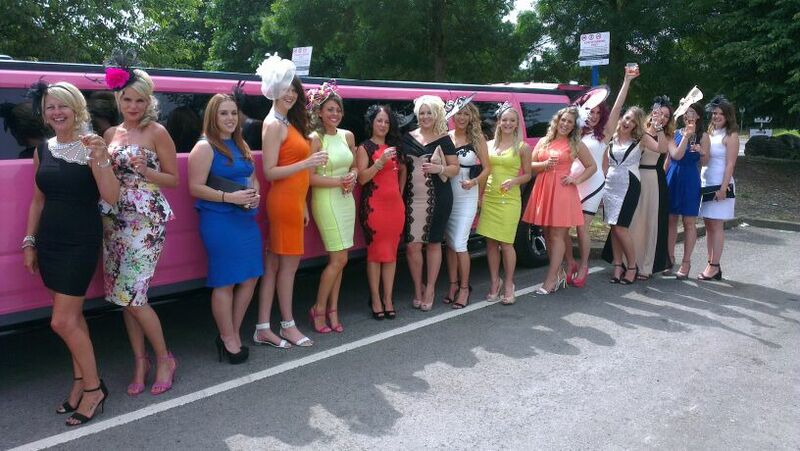 The Swindon Limo Company offers a package that suits all groups. No matter which part of the course you are visiting arriving in style is a must. From your door we will collect you and your party from Swindon with bubbly on ice, then arriving at Royal Ascots Limousine parking next to the racecourse where we will set your group up comfortably for the day with your own gazebo, table and chairs for you to enjoy your food and drinks before entering the course. Your driver will then return you at the end of your day out at Royal Ascot back to Swindon all in comfort with fun on the way. If you have ever been to Royal Ascot in a Limousine you will know what a great time is had without any of the stresses. So don’t just dress sophisticated and stylish, arrive this way too! The Swindon Limo Company cover many sporting events across the south including all racecourses including Goodwood, Newbury and Cheltenham. With race meetings including ladies day at Newbury in August and Cheltenham festival in March. We can transport you from Swindon and Wiltshire to your chosen football matches, Rugby tournaments, Boxing arenas, Cricket, Tennis and much more. We offer affordable prices for Limousine hire that suits your needs and your pockets. You’ll find we are competitive with public transport fares. Visit our quote page now and surprise yourself!